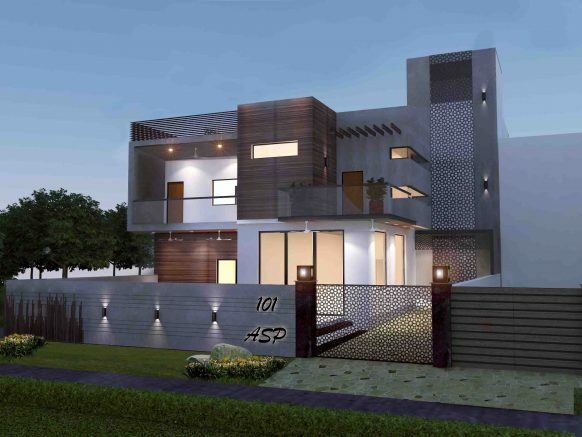 The residence is located in a growing neighborhood, of Rohtak. 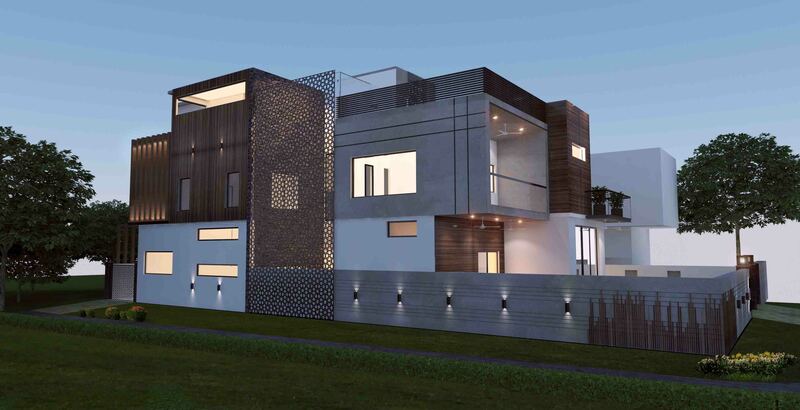 The brief was to design a contemporary building with an Indian Touch. 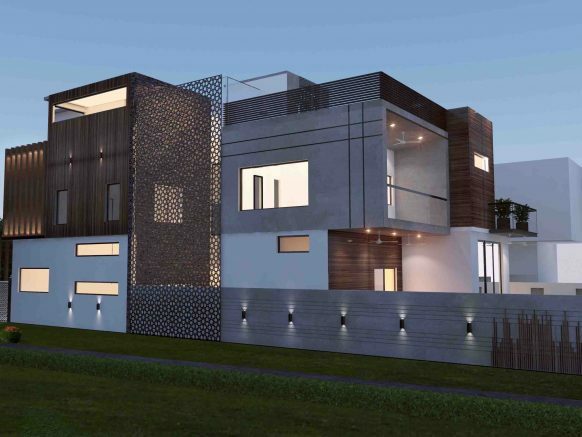 The project is conceptualized in three stories. On the Ground and first level we have served spaces while the third floor mainly caters to the servant areas. All the rooms have private terrace gardens of their own. A touch of Indian Architecture at a global level comes from the use of Jalis in the façade. In addition to this the material selection was determined by its practicality and ease of cleaning.